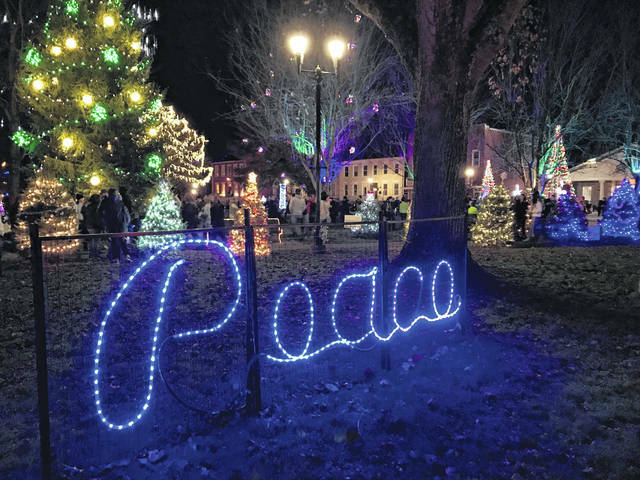 Arguably one of the largest crowds to ever attend the Gallipolis In Lights Park Lighting Ceremony arrived from every direction to see City Park illuminated for the holidays Wednesday evening. In addition, Holzer Health System provided a fireworks show that coincided with the massive display being turned on for the holiday season. More on Gallipolis In Lights in upcoming editions.